Wally Bley is a partner with Bley & Evans in Columbia, Missouri, where he has practiced law for 35 years. During the course of his career Bley’s practice has included everything from criminal defense to banking law; however, his practice is now concentrated on civil liability; including personal injury and automobile crash cases, premises liability, products liability, medical negligence, and insurance related matters. Bley is a graduate of the University of Missouri-Columbia where he earned both his B.A., with Honors, , and J.D. He is a Fellow of the American College of Trial Lawyers and the International Society of Barristers and is a member of the American Board of Trial Advocates and the National Board of Trial Advocacy by which he is certified in Civil Trial Advocacy. In 2014 he was named a “Top 100” by National Trial Lawyers. 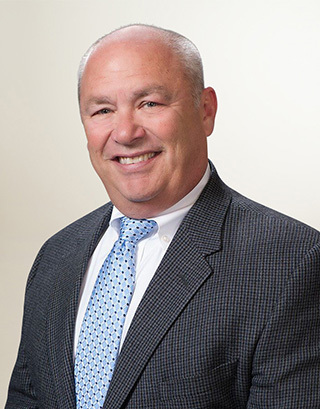 Wally is an active member of the Boone County Bar Association and is past-President of, and has served on the Executive Committee and Board of Governors for, the Missouri Association of Trial Attorneys and is also a Sustaining Member of the Association of Trial Lawyers of America. When Bley isn’t trying cases, he’s spending time with his family — his wife, two sons and a daughter– and Missouri athletics.